Easy to launch with amazing consistency, the PING G410 irons also have stellar looks. Forgiveness, distance and wonderfully high trajectories. When I first heard about the new PING G410 irons, my first thought was that they sounded like a modest update to the highly successful G400s. I expected new colors, plenty of marketing spin and a fresh price tag. What I discovered reading the tech sheets and seeing the clubs in person was a pleasant surprise. 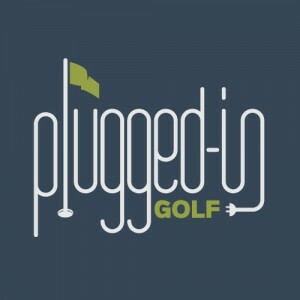 Not only had the PING designers incorporated more performance features, they did it in a smaller club head that’s very appealing to players like myself in the Game Improvement category. These were irons I couldn’t wait to hit. The PING G410 irons feature a shorter blade length and 10% less offset than their predecessors. 10% may not seem like a lot, but to my eye, less is best. At address, the club head has a lot of eye appeal with a topline that’s relatively thin and a hydropearl 2.0 finish that cuts down glare. I really like the matte grey finish on the club face and white paint fill, which is only on the bottom groove. The face showed some wear during testing, but not to an extent that’s distracting or concerning. It’s a simple thing, but the stamped club number is a nice detail that lets you avoid the sole flip maneuver when you’ve grabbed a couple of clubs and want to verify which club you’re pulling the trigger with. The soles of the G410s are modest in width, with attractive shaping on the trailing edge. The toe has an exposed weight plug that adds a bit of technical mystique to the clubs. On the back, the co-molded cavity badge is framed attractively and looks sharp with the bold red on black. The G410 cavity badge mentioned above isn’t just for show; the aluminum and elastomer insert has been specifically engineered to damp vibration and deliver what PING calls a “reassuring” sound. 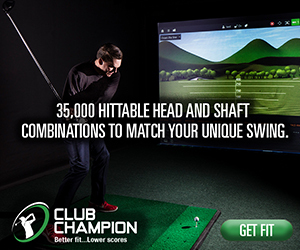 Across the face the feel is solid – like you’ve hit the sweet spot every time. To my ear the sound is a crisp tock that’s as pleasing as any cavity back iron I’ve hit in recent memory. Despite the refined shape of the G410 irons, PING was able to increase MOI by 8% by concentrating weighting in the hosel and the toe. The resulting increase in forgiveness and consistency were confirmed when I pulled the 6 iron for the first time and hit three consecutive balls that flew identically and would have landed on a blanket. The lofts of the G410 irons are the same as the G400s. To increase performance, PING made a larger, more flexing face and incorporated next generation COR-Eye technology that amplifies ball speed for more distance and higher peak trajectories. Although I didn’t experience any distance gains over my gamers, the trajectories peaked out higher and were amazingly consistent. I was impressed with the performance of the stock PING Alta CB Red graphite shafts that I tested with. The clubs felt very balanced and the powerful ball flight felt effortless. With seven stock metal shaft options available, I’d say PING has something suitable for most every golfer. I’ve had PING woods in my bag over the years, but never PING irons – but that may need to change. I was captivated by the clean look and reduced offset, but it was the consistent performance that captured my attention. Where I play, carrying hazards and holding greens is paramount, and the PING G410 irons deliver on both. If you’re in the market for new game improvement irons the PING G410s are definitely worth a close look. Enjoyed your review. I’ll go ahead and ask the obvious question that many of us will want to know. Are the G410s worth upgrading to from the G400s? I’m a low handicap player with G400s and the new look with less offset is appealing to me from an appearance standpoint. I don’t have any experience with the G400s Brent. Typically, one model upgrade doesn’t have enough new technology to warrant a change, but in this case the visuals are very appealing as you pointed out. Your temptation is going to torment you until you give them a try. How did the Hydropearl 2.0 finish hold up in testing? I have seen the Hydropearl 1.0 on the G400 not hold up well. What I stated in the review still holds true: “The face showed some wear during testing, but not to an extent that’s distracting or concerning.” I don’t have any comparison for the 1.0 finish – sorry. Thanks for the review. As long as PING continues to use the Hydropearl finish, I’m out of the PING iron market. As expensive as golf clubs are these days, you would think they would make an effort to make them durable. I’ve played just about every brand imaginable, and the hydropearl finish is EXTREMELY durable. I haven’t a clue how the rumor that these wear badly came from, but I can assure you it is bologna! I was just wondering why your tried out the Ping Irons in graphite and not in steel ? Also for the graphite shafts did they feel too light or too flimsy? I’ve been playing graphite for years. If they were light or flimsy I would mention that in the review (though I’m not sure I’ve seen a flimsy reference scale). Sounds like you need to experience hitting some balls with graphite shafted irons – I don’t think they are what you envision. PGA Tour players have graphite in their irons….just saying. Good review. I’m glad the offset is reduced. I like Ping as a company, but I’ve always thought that their game improvement models had way too much offset. 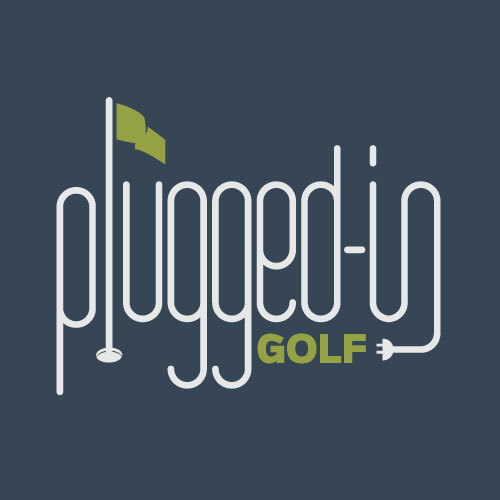 Just a side note: I wish all reviews from Plugged In Golf included a link to the manufacturer’s webpage for that product. Maybe this is against the rules, as it might be considered a show of bias? Still, it would be nice for those of us who wish to investigate further without the extra step of Googling. Thanks for the comments Joe. All our reviews have links to the manufacturer’s website in the 50 Words or Less and Conclusion sections. We strive to make it easy for our readers. Loved the review. I have not used graphite shafts on irons but I going to test them. I have been hitting Ping G400. Good irons but a little bulky. I like the reduced head size and offset on the G410. Irons of this quality are expensive so I will really need to absolutely like these irons to change.